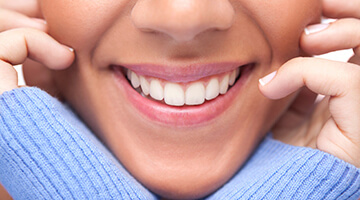 Although Dr. Jamie Guthrie is happy to offer a wide variety of restorative and cosmetic services to patients in need, she’d prefer to help you avoid dental problems in the first place with valuable preventive dentistry. 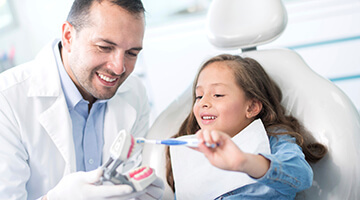 Routine six-month checkups and professional hygiene appointments will help our team catch common concerns like cavities and gum disease in their earliest stages, and services like dental sealants and mouthguards can provide extra protection against damage. In the end, preventive care can potentially save you and your loved ones a great deal of time, money, and discomfort over the years. Are you ready to get started? Patients from Lone Grove, OK and surrounding areas are welcome to contact our practice today to schedule their first appointment. We look forward to building a friendly, trusting relationship with you that lasts for years to come. When preventing common dental problems, there’s no better tool than routine checkups and cleanings here at Dr. Guthrie’s Ardmore office. 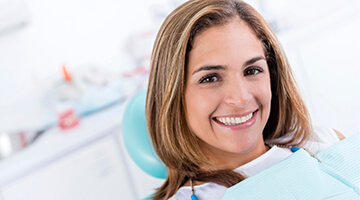 During these visits, our team will perform a comprehensive evaluation of your oral health needs and remove decay-causing plaque and tartar from the teeth and gums. We want you to leave with a refreshed, confident smile! Your premolars and molars (back teeth) have deep pits and grooves in their chewing surfaces that are likely to attract food particles and bacteria. These hard-to-reach teeth are especially tricky for children to keep clean, which can lead to tooth decay and cavities over time. Thankfully, dental sealants can offer a quick and effective method of keeping tooth surfaces safe. Dental sealants consist of a thin, tough film of plastic that is applied directly to the chewing surfaces of teeth. Once hardened with a curing light, they create a strong physical barrier that keeps decay-causing agents from settling in place and wreaking havoc. 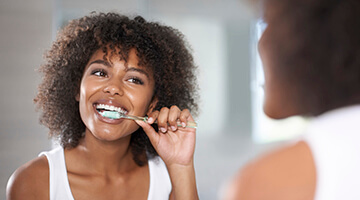 While Dr. Guthrie is likely to recommend this preventive service for younger patients, they can also greatly benefit adults who struggle with teeth that are oversensitive to decay. 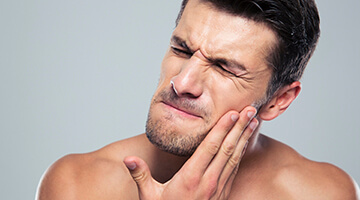 Do you regularly experience jaw and facial discomfort? Are your teeth worn down and damaged with no known cause? These are common signs of bruxism (teeth grinding) or the more insidious TMJ disorder, which can lead to chronic, debilitating pain. Thankfully, Dr. Guthrie can design customized oral appliances to help treat these conditions. When worn, these mouthguards will cushion the jaw, minimize dangerous contact between teeth, and even help dysfunctional muscles reach a more relaxed state. Our team also offers sportsguards for busy athletes both young and old. Your smile is valuable, and it should be well-protected against the threat of contact with other players or hard objects. Our high-quality appliances are designed with the patient’s unique smile in mind for optimal comfort, function, and stability. Fluoride is a very important mineral when it comes to oral health. Today, most community water supplies contain it because research has shown that a steady diet of fluoridated water can strengthen teeth and reduce the threat of cavities. During regular appointments, Dr. Guthrie will determine whether or not additional fluoride treatment is needed for patients to reap the full benefits. While this preventive service is typically provided for children, our team may also recommend it to adults under the right circumstances. Oral cancer may not be as widely discussed as cavities and gum disease, but that doesn’t mean it isn’t dangerous. In fact, did you know that on average, one American dies from the condition every hour? This happens because most cases of oral cancer go undiagnosed until they’ve already reached advanced, destructive stages, making the chances of a successful recovery slim. 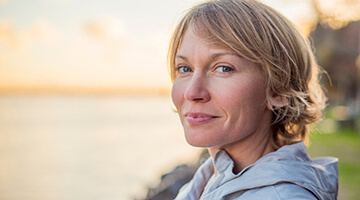 Dr. Guthrie takes this threat to her patients’ health and wellbeing seriously, which is why oral cancer screenings are a vital part of every checkup here in Ardmore. Although heavy tobacco and alcohol use are common indicators of oral cancer, it’s important to remember that nearly a full quarter of cases occur in patients who exhibit no known risk factors. Additionally, recovery rates greatly increase when oral cancer is successfully located and treated in its early stages of development. This is just another reason why six-month checkups are so important for you and your family! 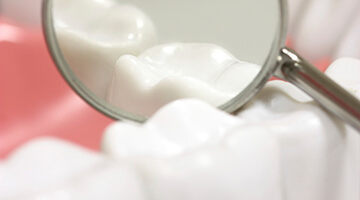 Did you know that gum disease is the most common cause of tooth loss among American adults? This infection can start off seeming relatively harmless, but untreated cases quickly grow out of control – that’s why Dr. Guthrie and the rest of our team take it so seriously. Periodontal screenings are a vital part of every routine checkup, and if we determine that you’re a victim, we can treat any damage with scaling and root planing. This in-depth cleaning will target the hidden-away bacteria beneath the gum line and stuck along the tricky surfaces of tooth roots, leaving your mouth much healthier and more refreshed. The whole family is welcome here at our office, including young children who are just getting started on the path towards lifelong oral health. From that very first visit, Dr. Guthrie and the rest of the team will be doing our best to create a cozy, relaxing atmosphere where your son or daughter can feel at ease and receive the very best children's dental care. We’ll carefully and gently inspect their growing teeth, gum tissue, and any signs of developmental concerns to ensure that everything’s going smoothly. If needed, simple restorative services like tooth-colored fillings are available to correct those all-too-common spots of decay, and preventive services like dental sealants and fluoride treatment can be a big help in protecting both “baby” and adult teeth over the years. We also look forward to teaching your child how to brush and floss with fun lessons once they’re old enough! 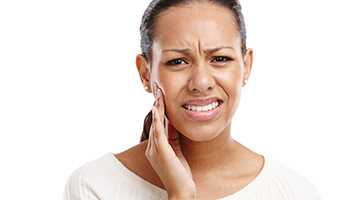 A sudden injury to the mouth or severe oral pain can be a frightening experience, especially if it involves a loved one. Thankfully, Dr. Guthrie ia a skilled emergency dentist and welcomes emergency patients in need here in Ardmore, and she’ll do everything in her power to see and treat urgent cases right away. Older patients may remember the days of traditional film X-rays – the ones that had to be developed slowly in a darkroom and then viewed on a clunky light board. Thankfully, today’s digital systems offer our dental team several valuable advantages when it comes to your care. 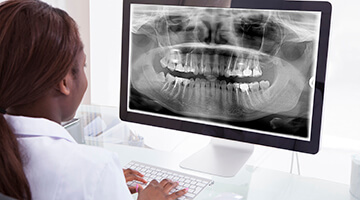 Your dental X-rays will be conveniently available for viewing within seconds, and we can even magnify and color-code them to help patients better understand what they’re seeing. Better yet, the amount of radiation you’re exposed to is dramatically reduced for a much a safer experience overall!